I am a potter and a teacher, working in fine hand thrown porcelain and stoneware. Born into a family of artists and musicians, I never lacked for encouragement to see, feel and experiment creatively. Clay, and in particular porcelain clay, has afforded me a whole lifetime of challenges, possibilities and dreams. Always interested in the balance of a pot, I like people to take them into their hands and handle them. So I am a functional potter, hoping to integrate aesthetics into ergonomics – beauty into usefulness. I throw on the potter’s wheel. In Autumn 2009 I built a gas kiln to further investigate the profound changes wrought by heat, time, and atmosphere on the clay and glazed surface of the pieces. 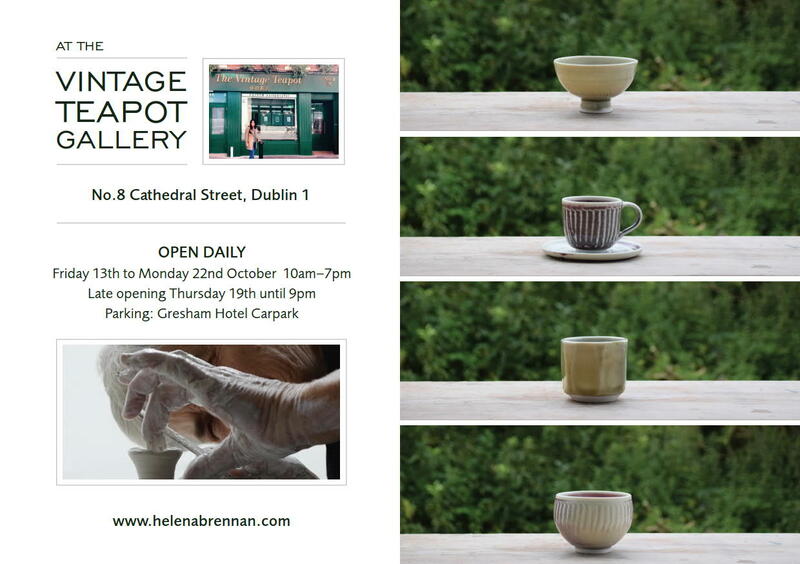 Having completed her art studies with a pedagogic year at the National College of Art , (now NCAD), Helena went on to specialise in ceramics. In the Summers of 1963 and 1964 she studied under David Leach in Devon. 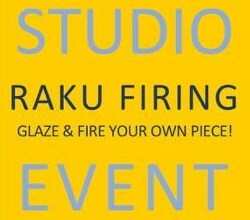 He was the son of legendary studio potter Bernard Leach who had established the very first Japanese-influenced studio pottery in the West at St. Ives, Cornwall, England. 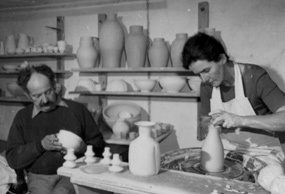 In 1965 Helena married her teacher, Irish pioneer studio potter Peter Brennan, at this point they set up a studio at their home in Dun Laoghaire. 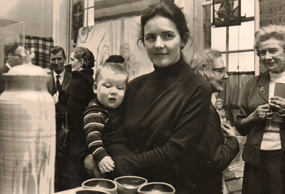 They exhibited, in 1966, a comprehensive range of the first high fired stoneware ceramics made in Ireland at the Irish Times Gallery in Dublin. In 1968 they both represented Ireland at the World Crafts Council Conference in Peru, tying in some tea-pot making demonstrations along the way. That year Helena also exhibited her hand thrown porcelain, made with Irish clay, in Japan at Osaka’s World Fair. 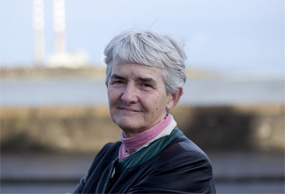 By the late seventies Helena and Peter had firmly established their production (including the production of six children), and a gallery in Dun Laoghaire. Production of large runs of functional stoneware for restaurants, and also department stores, around the world kept Helena very occupied. Teaching also formed a large part of their intention to establish ceramics as a creative force in Ireland. Apart from training apprentices in the studio and teaching at the National Collage of Art (Helena taught studio production and practice for a day a week over a ten year period, from 1971). 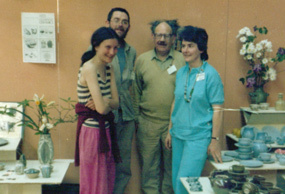 Helena and Peter were both founder members of the Crafts Council of Ireland, the Society of Designers in Ireland and the Craft Potters Society, now Ceramics Ireland. 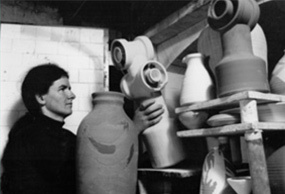 In 1981 Helena was elected to the board of the Crafts Council. Also in that year she was a delegate to the European Crafts Council Assembly in Copenhagen, and Seminar on the island of Bornholme, Denmark. In 1986 Helena was invited to join in representing Ireland at the French international assembly ‘Fores des Potiers’ at Perigueux. Showing at all the annual Irish Potters exhibitions, demonstrating and winning prizes at several National Crafts Competitions at the Royal Dublin Society still left time to set up a gallery in Glenageary where bi-monthly shows allowed for a wide range of work to be developed from functional to architectural stoneware to the ‘Art of Porcelain’. In the 1990’s Helena continued to exhibit at many high profile shows. Since the passing of her husband and collaborator Peter, in the mid nineties, Helena has ploughed on her own; though Peter’s support seems to be there when needed. 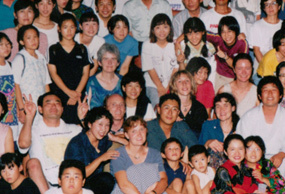 In 1996 Helena was the first Irish potter to be included in IWCAT the Ceramic Residency in Tokoname, Japan. She left a body of work for their ceramic museum and returned to show drawings, sculpture and pottery in Dublin and Wicklow. Travelling in 2000 to South Africa to teach and show in Johannesburg and Cape Town widened her horizons even more. Helena continued to exhibit and was included in the Royal Dublin Society Design Awards Travelling Exhibition, Sculpture in Context and Irish Contemporary Ceramics Exhibitions. Being included in the landmark 2005 exhibition ‘Not Just Pots-Irish Ceramics of the 21st Century’ at the National Museum Collins Barracks firmly established Helena’s position among leading ceramic artists in Ireland. Helena followed this up by curating an exhibition in Kilkenny City ‘Peter Brennan- Irish Pioneer Studio Potter’ which acknowledged her late husband’s considerable contribution to, and influence on, Irish pottery. 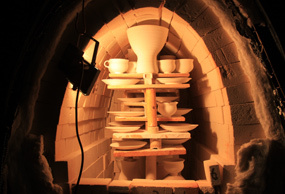 In the Autumn of 2009 Helena built her new gas kiln at her studio near Avoca, Co. Wicklow. Since its construction, she has been focusing on producing fine porcelain pieces.